Mitt Romney was one of Trump’s harshest critics during the 2016 election. Washington • President Donald Trump called Mitt Romney on Thursday night to encourage him to run for the soon-to-be-open Senate seat in Utah, a source close to the White House confirmed Friday, as all eyes are on the former presidential candidate who has been a sharp critic of Trump. 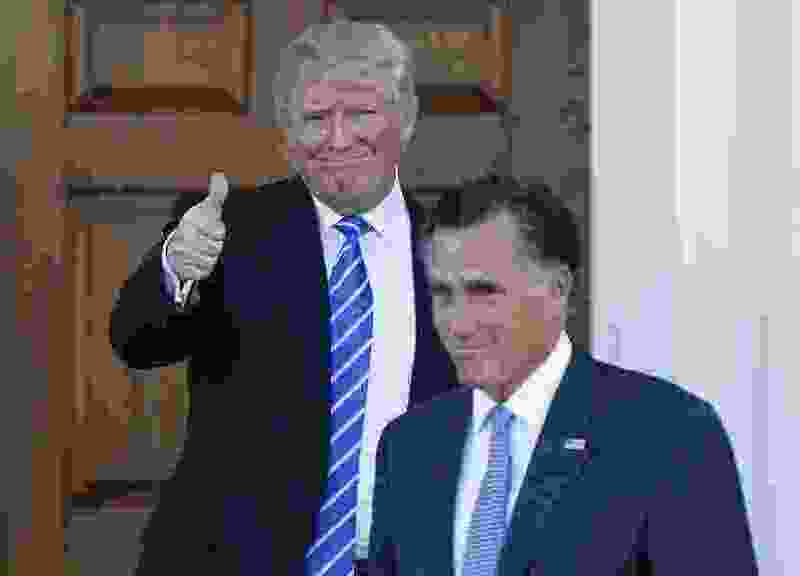 Deputy White House press secretary Hogan Gidley said separately that the president and Romney spoke by phone, but didn’t confirm nor deny that Trump encouraged Romney to run. Romney, who was the 2012 GOP nominee for president, didn’t mince words when Trump was seeking the White House, saying in a now-famous speech at the University of Utah that Trump would be detrimental to the country if elected. After Trump won, Romney sat down with the incoming president for dinner as Trump was weighing whether to nominate Romney for secretary of state. Trump later picked former Exxon Mobil chief executive Rex Tillerson. Hatch, who had also encouraged Romney to run, said Tuesday that he would not seek an eighth term.